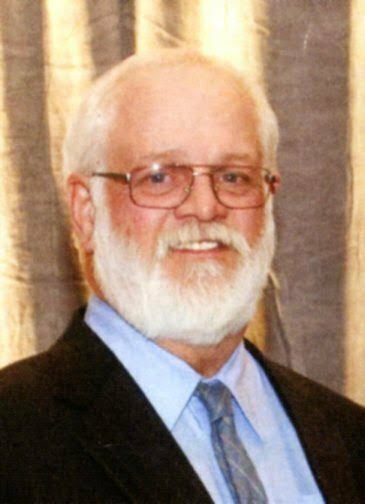 CLANCY, Daniel “Dan”, age 69 of Helena passed away Monday, April 1, 2019. A memorial service celebrating Dan’s life will be held at 2 p.m. on Friday, April 5, at the Fortress of Joy, 720 Faw Road. A coffee and cookie reception will follow the service in the fellowship hall of the church. Donations in Dan’s name can be made to Montana Supporting Solders, PO Box 4964, Helena, MT 59604. Please visit www.aswfuneralhome.com to offer a condolence to the family or to share a memory of Dan. MUCH, Judy M., age 75, of Helena, passed away on Sunday, February 24, 2019. A graveside service will be held at 1 p.m. on Friday, April 5, in the committal shelter at the Montana State Veterans Cemetery at Fort Harrison. In lieu of flowers, memorials in honor of Judy are suggested to, Frontier Home Health & Hospice, 800 Front St., Helena, MT 59601 or to Compassus Hospice, 1075 N. Rodney St. Suite 102, Helena, Montana 59601. Please visit www.aswfuneralhome.com to offer the family a condolence or to share a memory of Judy. DANA, Kenneth M., age 94, of Helena, passed away April 1, 2019. A Viewing will be held from noon to 1 p.m. Friday, April 5, 2019 with a Funeral Service to follow at 1 p.m. all at Anderson Stevenson Wilke Funeral Home, 3750 N. Montana Ave. Burial with Military Honors will follow the service at the Montana State Veterans Cemetery, Ft. Harrison. A reception will be held after the burial location to be announced. Please visit www.aswfuneralhome.com to offer the family a condolence or to share a memory of Ken. When Peter Berry died in Helena March 7, there was little public fanfare and not even an obituary, perhaps reflecting his desire for privacy. Yet Berry led a fascinating life and left many friends in Helena and around the world. Helena had truly become home to him. He was born just outside of Johannesburg South Africa, on Aug. 27, 1930. After graduating from a university there, Berry moved to England and earned a master’s degree in business from the London School of Economics. He worked in in business marketing and advertising in London and Montreal before moving to New York City to work for the Christian Broadcasting Network. Berry came to Montana sight unseen from New York in late 1972 when incoming Gov. Tom Judge chose him to take over Judge’s advertising and public relations agency. Judge had placed his business into a blind trust during his eight-year tenure as governor. He loved it here in Montana. Berry hosted a Sunday night TV program and a radio show in Helena on which he would interview local people. With his proper British accent and dapper attire, Berry was a sophisticated and cosmopolitan gentleman in Helena. In his new job, Berry took over from Judge as executive secretary and public relations man for many professional and trade groups and came to know people from all over Montana. Berry later left Helena to become an executive for World Vision International, which fights poverty and injustice. He served mainly in East Asia, rising to become its regional director in Sri Lanka prior to his retirement. When Berry retired in 1998, he could have lived anywhere in the world, but chose to return to Helena where he had made so many friends. Instead of driving sporty MGBs as he had in London, Berry switched to a more practical silver Subaru Forester. He invited numerous friends to dinner, and they enjoyed entertaining Berry in their own homes. Berry became an integral part of the many Helena families, joining them for holidays and special occasions, becoming something of a surrogate uncle to their children. He was delighted when his own nephew, Rob, and his family moved to Montana. Berry enjoyed being part of a long-standing coffee group called Flickers, which included persons of diverse occupational and political backgrounds. A St. Peter’s Cathedral filled with friends celebrated Berry’s life on March 19. He was interred in the Cathedral’s Memorial Garden.